The Origin Of Our Logo, setting the record straight. The famous Turk’s Head logo that’s constantly talked about brings a sense of uniqueness to our brand. It is often mistaken as a salt shaker, a light house or even a baby’s bottle. Well I’m here to solve life’s problems and tell you exactly what it is, a Turk’s Head Cactus! 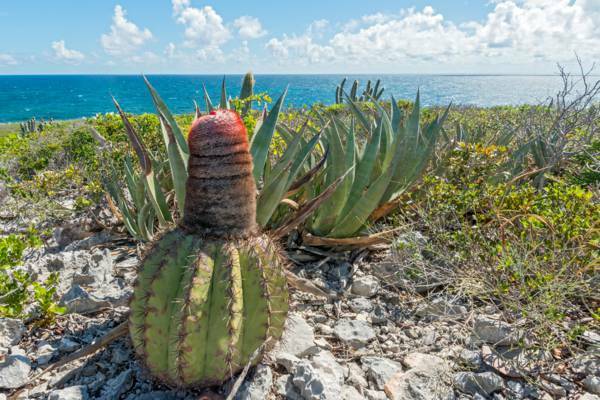 The Turk’s Head Cactus is one of the national emblems of the Turks and Caicos Islands. This small barrel cacti appears on both the Turks and Caicos flag and coat of arms, measuring up to 24 inches tall. The plant got its iconic name from its ‘Red Top’ as it resembles a turkish fez hat.